where the matter in question occurred ; and the parties must agree in writing to abide by the de­cision of the stewards of the Jockey Club. 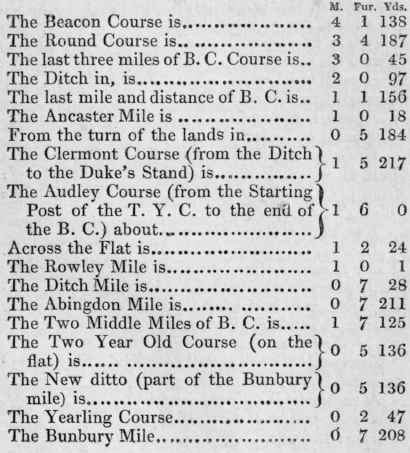 LENGTHS OF THE DIFFERENT RACE-COURSES. 1760 yards are a mile. 220 yards are a furlong. 240 yards are a distance.